This week’s On The Radio segment discusses how some farm groups are suing California for considering glyphosate a cancer causing chemical. Transcript: Iowa and a dozen other state farm groups are suing California for listing glyphosate as a cancer causing chemical. California’s Proposition 65 law from 1986 requires the state to protect drinking water from chemicals that can cause cancer or reproductive harm. And businesses must warn their users about potential chemical danger. Glyphosate is a herbicide used in 250 crops and a key ingredient in Monsanto’s top selling weed killer, RoundUp. Back in 2016 Monsanto sued California to block the glyphosate listing but in July of this year, California made the decision to list glyphosate as a carcinogen. This decision will cost Iowa farmers around 5 billion dollars. Crops with glyphosate will have to be separated, meaning extra time and labor costs not to mention a drastic drop in sales. Products with even trace amounts of glyphosate will be required to be labeled by 2018 in the state of California. Glyphosate is believed to be one of the safer herbicides. It was approved by U.S. Environmental Protection Agency in the 1970s and is frequently re-tested. However, the International Agency for Research on Cancer determined glyphosate as a potential cancer causing substance in 2015. The debate about glyphosate and its effects on human health will likely continue following California’s actions. The active ingredient in Monsanto’s Roundup Ready herbicide, glyphosate, has been detected at high levels in a variety of best-selling food products in the United States. Researchers with U.S. Food Democracy Now! and The Detox Project used liquid chromatography tandem mass spectrometry (LC-MS/MS) to perform the first independent glyphosate residue testing of popular American food products. The results reveal alarmingly high levels of glyphosate in food products such as Cheerios, Wheaties, Special K, Doritos and Kashi products, among many others. Use of glyphosate-based herbicides has been growing steadily over the last 20 years. According to one study by Environmental Sciences Europe, the United States has applied 1.8 million tons of the chemical since its introduction to the market in 1974. Independent peer-reviewed research has shown that exposure of glyphosate at 0.05 parts per billion (ppb) can alter gene function in the liver and kidneys of rats over the course of two years. Glyphosate was detected at 1,125.3 ppb in Original Cheerios. The Environmental Protection Agency set the allowable daily glyphosate intake at 1.75 milligrams per kilogram of body weight in the 1970’s and 80’s, following the results of industry-funded studies. Researchers with U.S. Food Democracy Now! and The Detox Project call for the allowable daily intake to be reduced to 0.025 milligrams per kilogram of body weight, twelve times lower than the current allowable limit. Residue from a commonly used Monsanto pesticide have been found in Iowa’s honey. The Organic Consumers Association and Beyond Pesticides filed a lawsuit against one of Iowa’s top honey producers, Sioux Honey Association Cooperative for the prevalence of Glyphosate in their products. The honey, called Sue Bee Honey is labeled as “pure,” “100% natural,” and “All natural.” Prosecutors contend that such language is false advertising given the amount of pesticide residue found in Sue Bee Honey during the FDA’s study. Members of the American Ethanol RAGBRAI team. 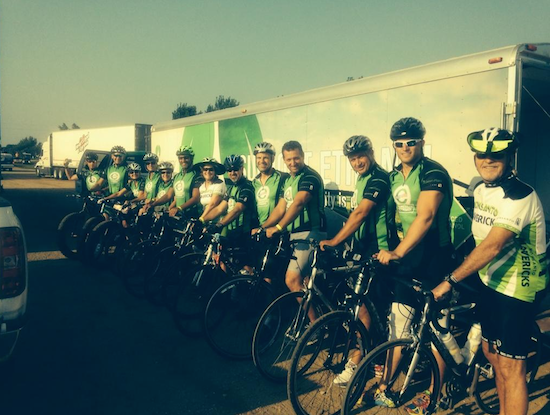 The 42nd (Des Moines) Register’s Annual Great Bicycle Ride Across Iowa – better known as RAGBRAI – kicked off on Sunday and this year’s event features a nearly 200-person team representing American Ethanol. This year’s route passes through “the heart of Iowa’s ethanol producing regions” and ethanol plants along the route will host various events throughout the week. The Biofuels Mobile Education Center – a 45-foot trailer with touch screen computers and other interactive equipment – is making stops in Emmetsburg, Charles City and Mason City. The No. 3 American Ethanol Chevrolet SS – driven by 2013 NASCAR Nationwide Series champion Austin Dillion of Richard Childress Racing – will also make stops in Emmetsburg and Mason City as well as Sheldon. Since 2011, American Ethanol has been a key partner in implementing green efforts for NASCAR. As of September 2012, more than 3 million miles have been fueled by Sunoco Green E15 – “a highly oxygenated unleaded race fuel that contains 15 volume percent ethanol.” Growth Energy, POET, Green Plains Inc., Monsanto and New Holland have also teamed with American Ethanol to sponsor the RAGBRAI team. For updates from the American Ethanol team throughout RAGBRAI, follow the group on Facebook and Twitter. 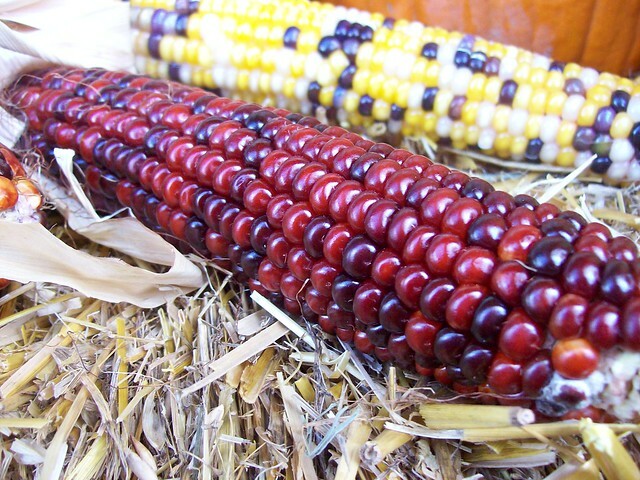 A federal judge in Mexico issued a ruling early this month suspending any planting of genetically modified (GMO) corn in the country. The legal ruling came in response to a suit filed by local non-governmental organizations seeking a permanent ban on GMO corn in the country. The World Food Prize is the foremost international award recognizing the achievements of individuals who have advanced human development by improving the quality, quantity or availability of food in the world. When the foundation awarded three individuals involved with biotechnology, many environmental groups, and others who oppose large scale farming, were immediately upset. The award winners were Mary-Dell Chilton, founder and researcher at Syngenta Biotechnology, Robert Fraley, chief technology officer at Monsanto, and third is Marc Van Montagu, founder and chairman of the Institute of Plant Biotechnology Outreach at Ghent University in Belgium. To learn more, head over to the Washington Post.